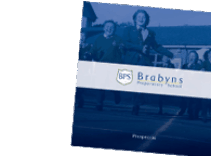 Swimming is an important part of School life at Brabyns. 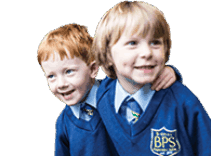 Children from Reception upwards all swim during the School year, with lessons at Romiley and Marple. The main emphasis is on developing the children’s confidence in water so they are safe (especially considering the fact we are surrounded by canals) and can enjoy swimming as a healthy leisure activity. In addition to developing the children’s water confidence, we concentrate on developing technique and speed to enable them to swim as well as possible. During the year all children from Reception upwards take part in our own inter-house swimming gala. 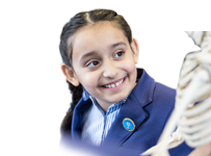 This year, Years 4, 5 & 6 have their gala on 9 February, Years 1, 2 & 3 on 23 March and Reception – 29 March. The galas provide great opportunities for the children to demonstrate their skills in a friendly but ‘competitive’ situation, with the winning house getting to push Mr Sanders in the pool! Children are also selected to represent Brabyns in various inter-School galas and water polo competitions. In the water polo the Year 5 and 6 team came a very respectable 3rd place, and we are looking forward to the Year 3 & 4 event after half-term. In the galas we have taken part in we have had lots of individual successes and race wins, and as a team this has led to two very notable achievements. In the Bellevue Gala our Year 3 team (all swimming for the School for the first time) came top in their section of the gala thanks to them winning five of their races – very well done team (Evie, Lucy, Ellie and Laurence). Then in the Beech House Gala our Year 5 & 6 children came away with the 1st place shield! A great achievement, with every child managing at least one gold medal! Well done team! (Martha, Charlotte, Will, Thomas, Declan, Katie & Aimee). Who knows, some of our super swimmers may follow in the ‘footsteps’ of one of our former children Katelyn Bergin. Katelyn, who popped in to see us before Christmas, is on the brink of National Swimming Team selection and working towards swimming in the 2020 Olympics! To view some more photos of our swimming superstars click here.